Hello Wednesday! It's time for another Watercooler Wednesday Challenge. 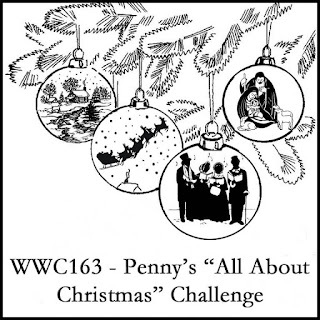 This week Penny is hosting our "All About Christmas" challenge. For my card, I pulled out one of my favorite stamp sets from Flourishes and did some coloring with my Prismacolor colored pencils and Gamsol. For all of our challenge details and to share your project, visit the Watercooler Wednesday Challenge by clicking the image below. We’d love to have you join us. You have until Monday, April 2nd at 6:00 p.m. Central Daylight Time to link up your project. Thanks, Liz! It's one of my favorites from Taylored Expressions. Wow loving your pencil/gamazol colouring Marsha. It's been a while since I've done that technique but gamazol really creates a beautiful tone and finish when combined with the pencils. I love the candle images nestled beneath the wreath arch. Beautifully done. Thanks, Penny! It's a new technique to me and I love it. A lovely bright, happy card, Marsha! Beautiful colours and Gamsol blending of your pencil colouring. I love the colours you've used for your card, Marsha. 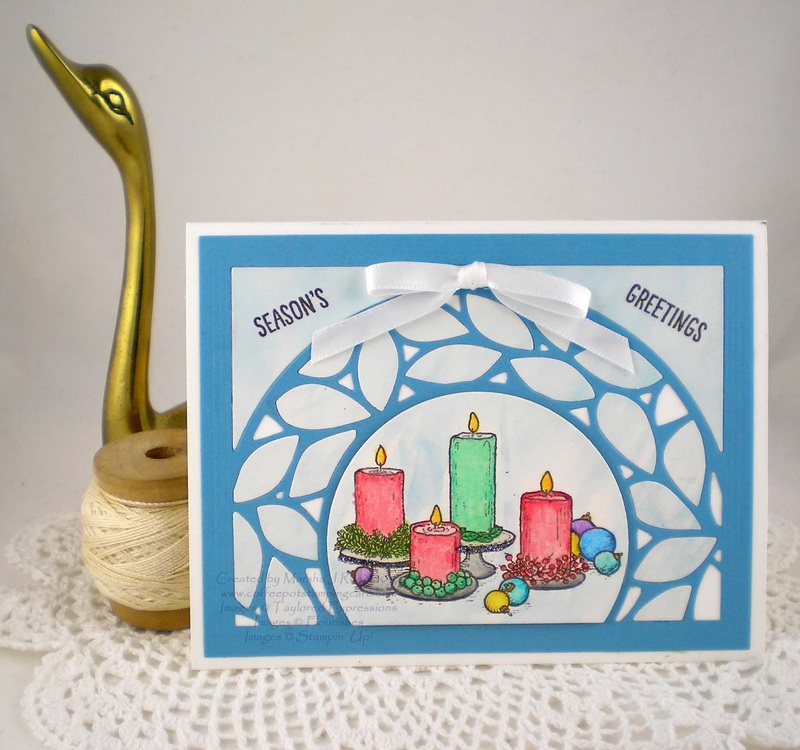 That die-cut with its inlays really sets off the centre candles beautifully. Love the bright colours of those candles. Nicely done!